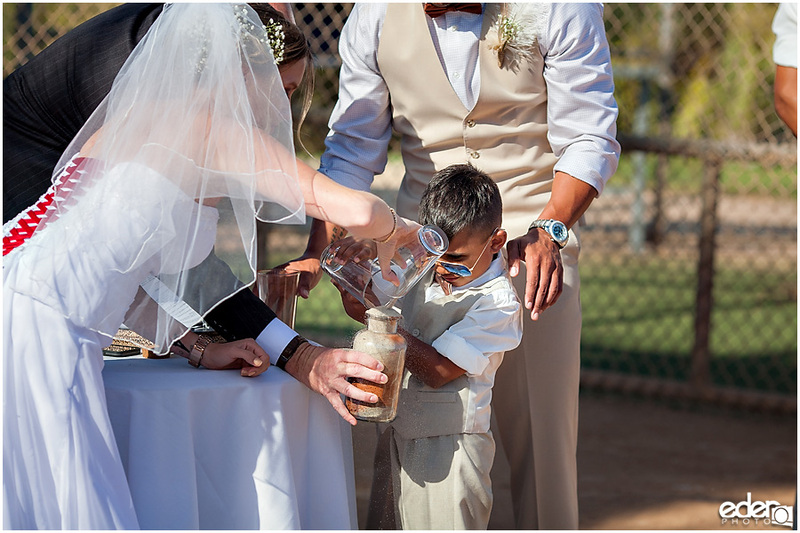 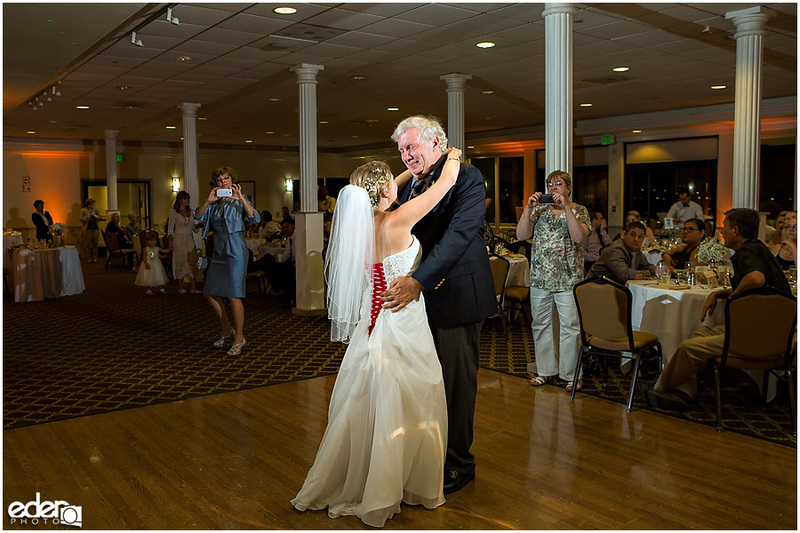 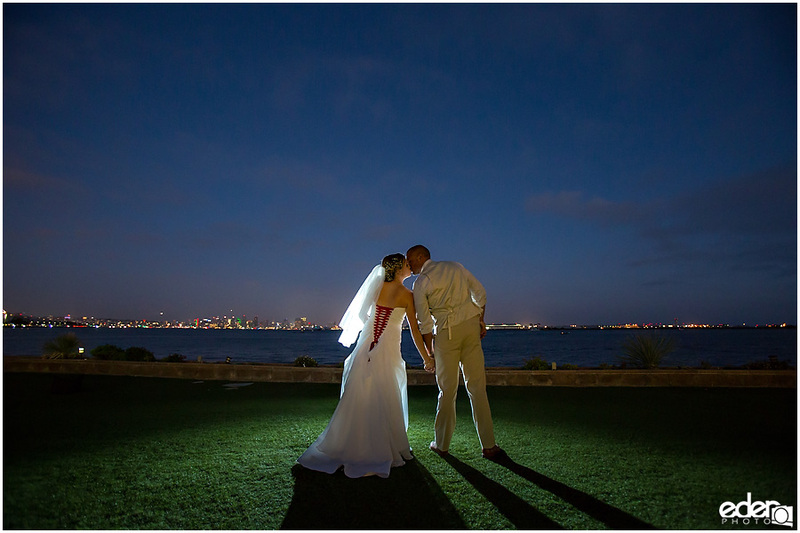 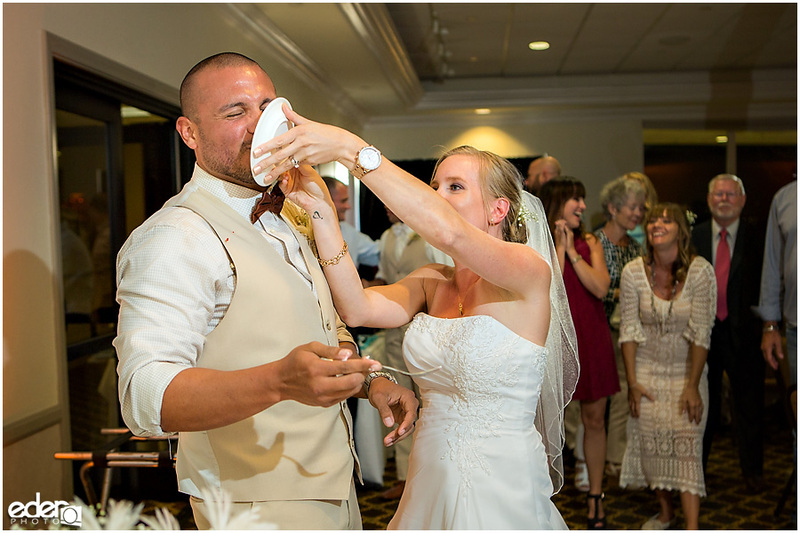 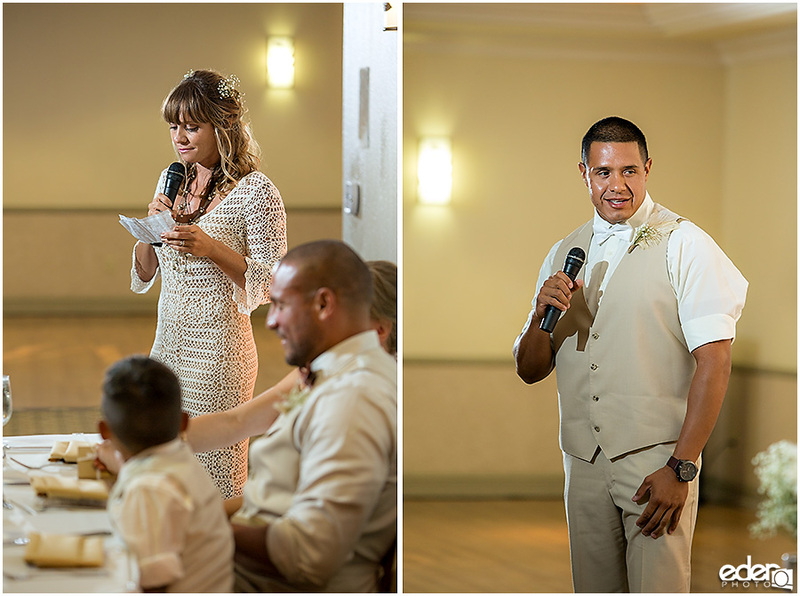 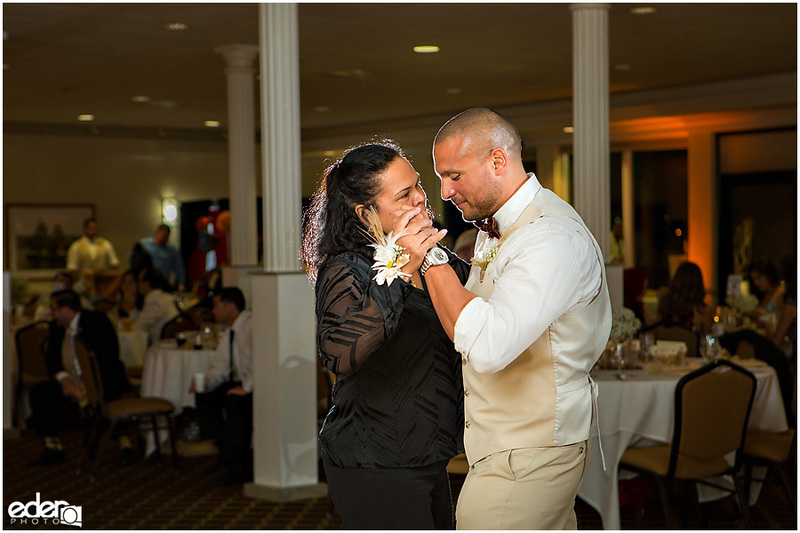 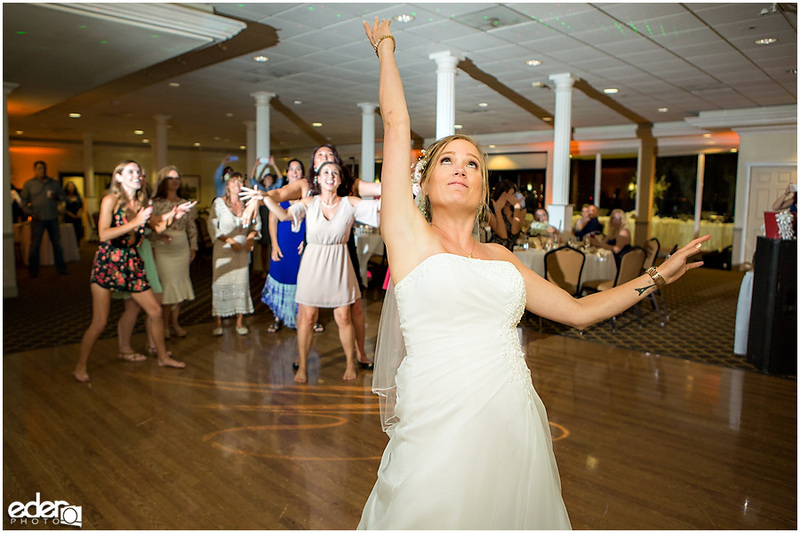 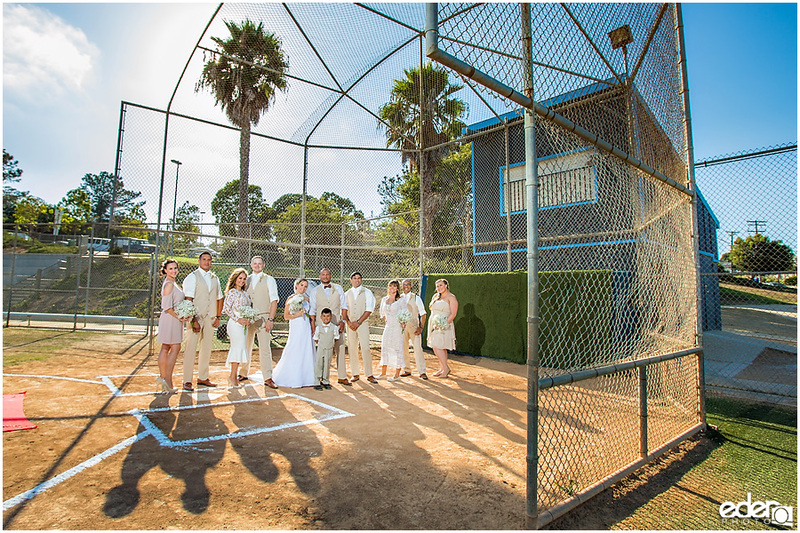 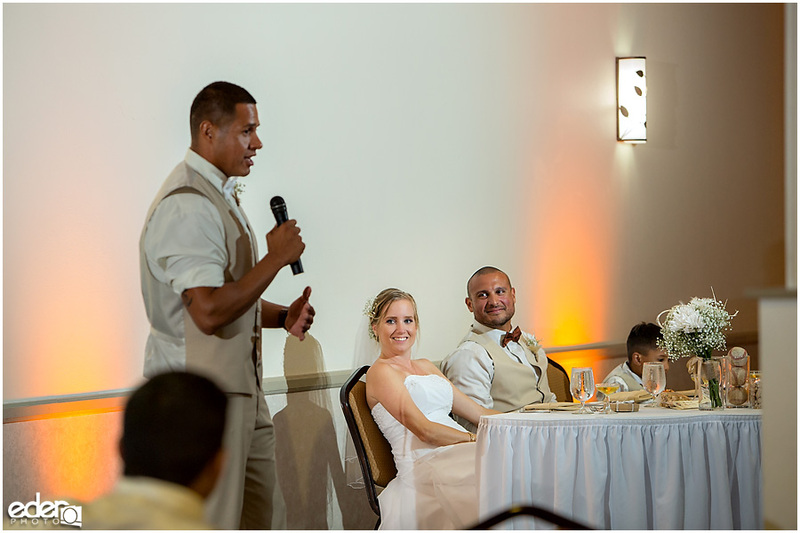 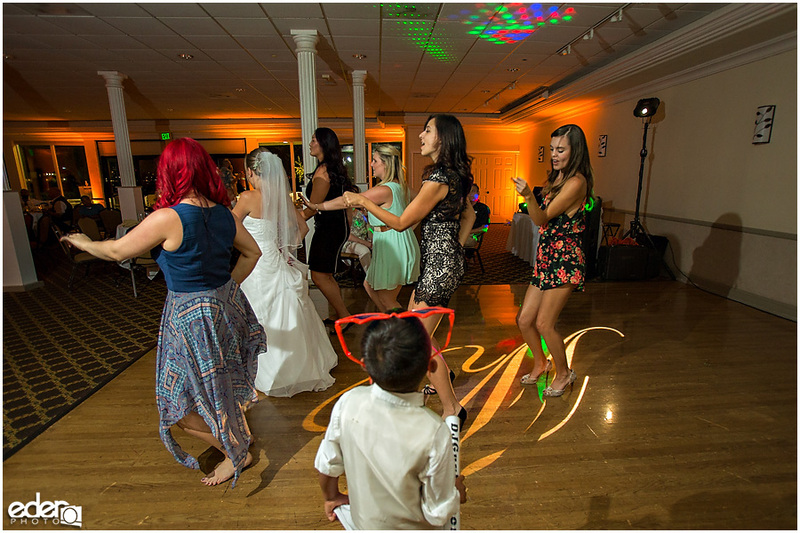 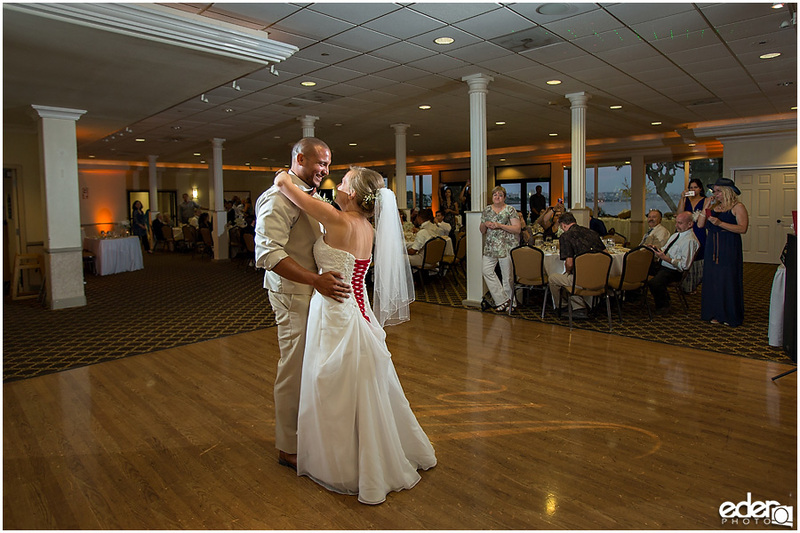 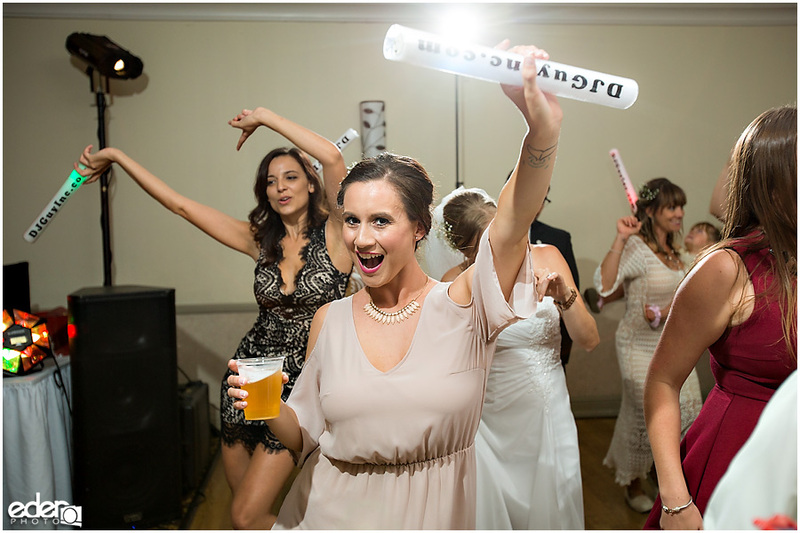 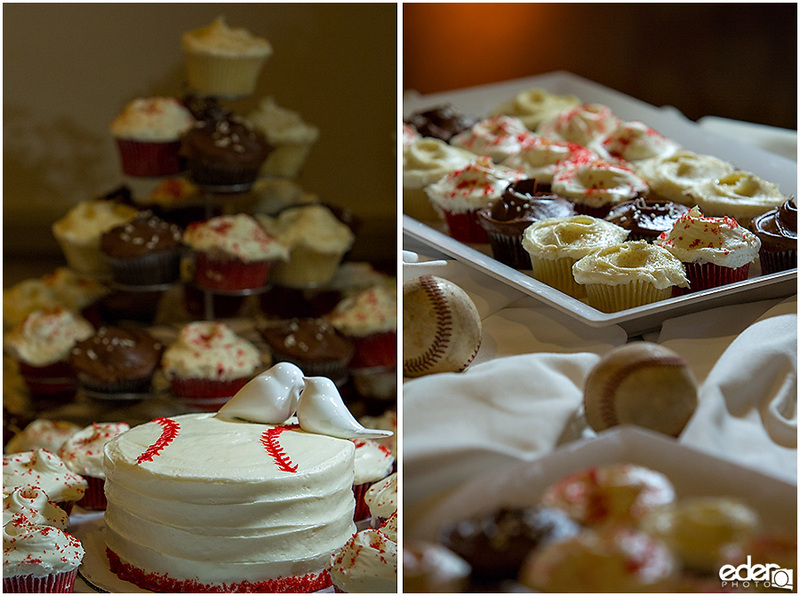 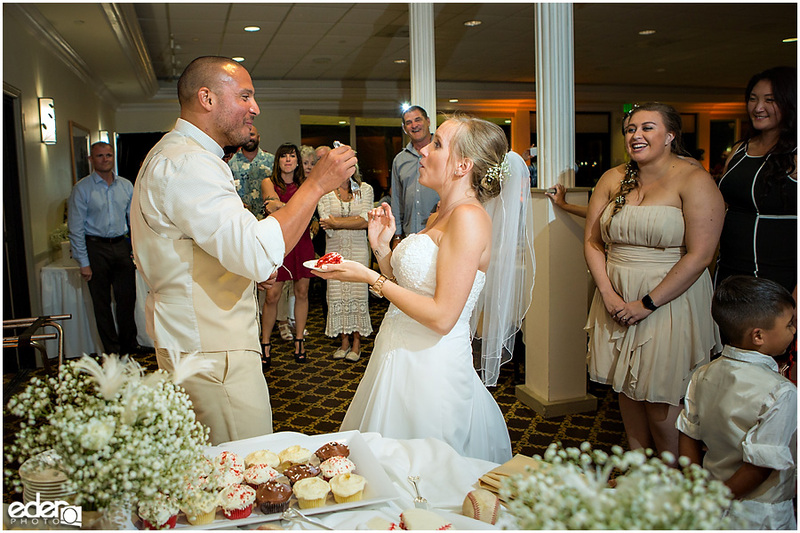 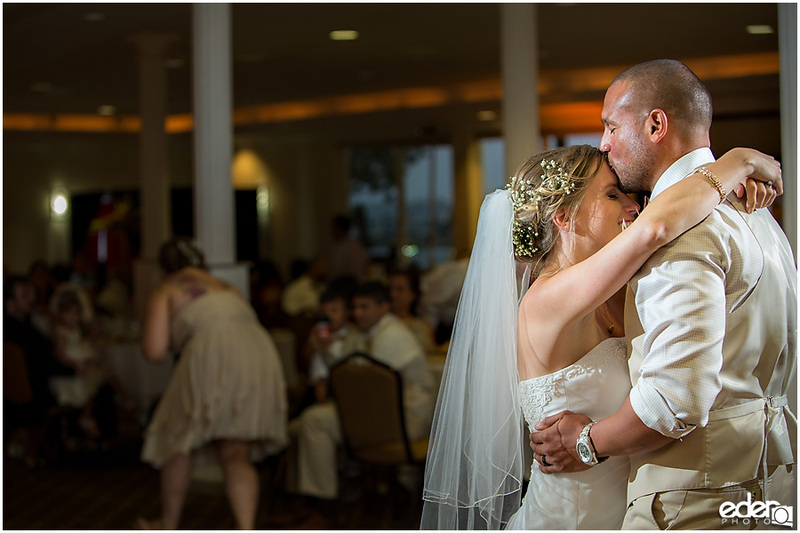 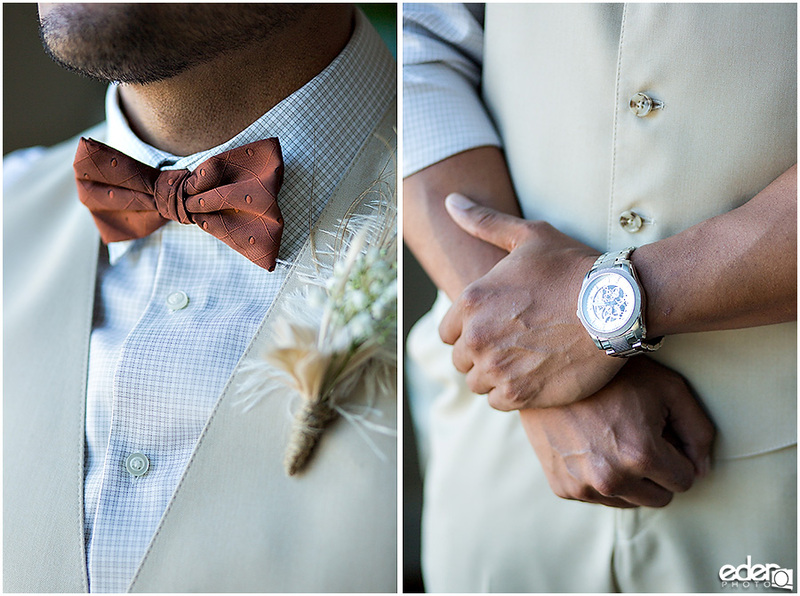 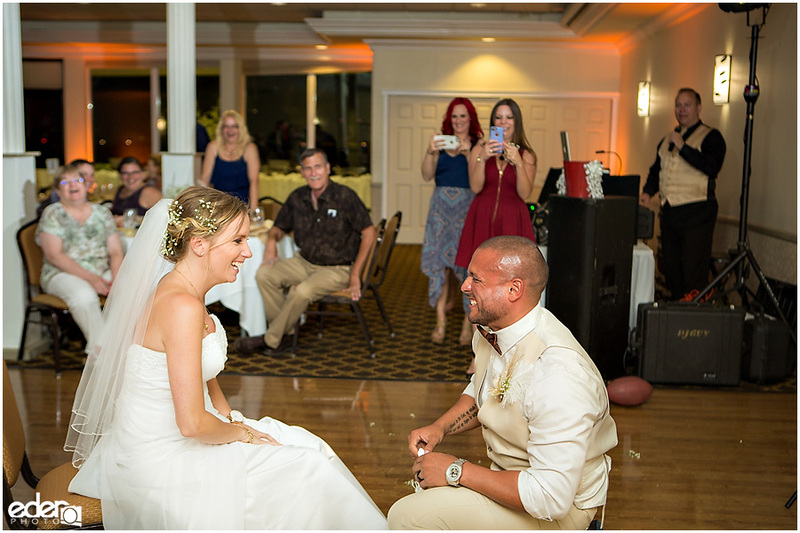 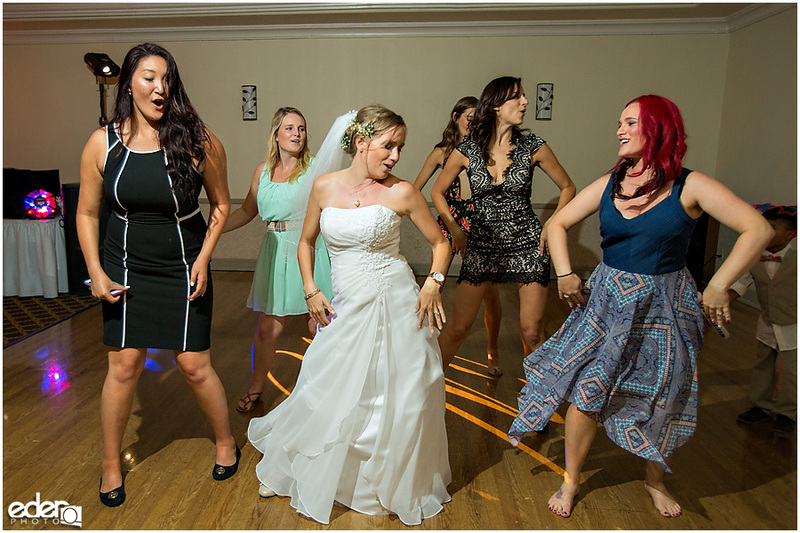 When Laura and Armando went with a baseball theme for their Admiral Kidd Club Wedding. 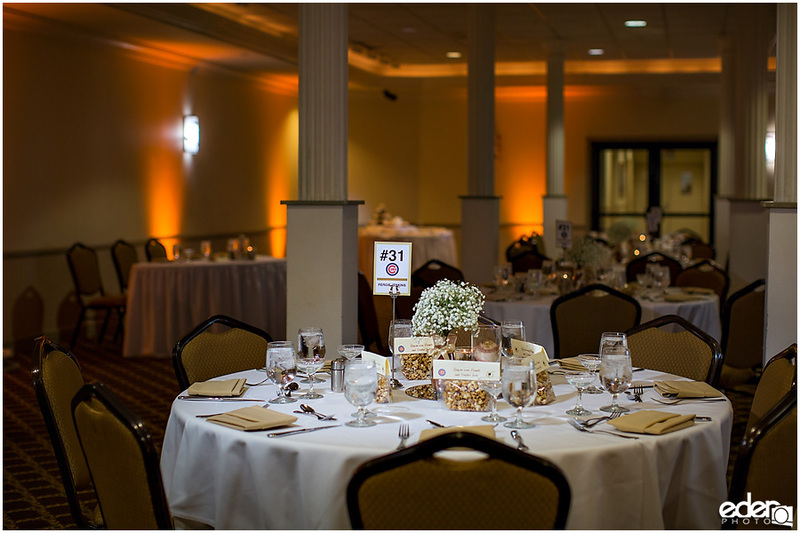 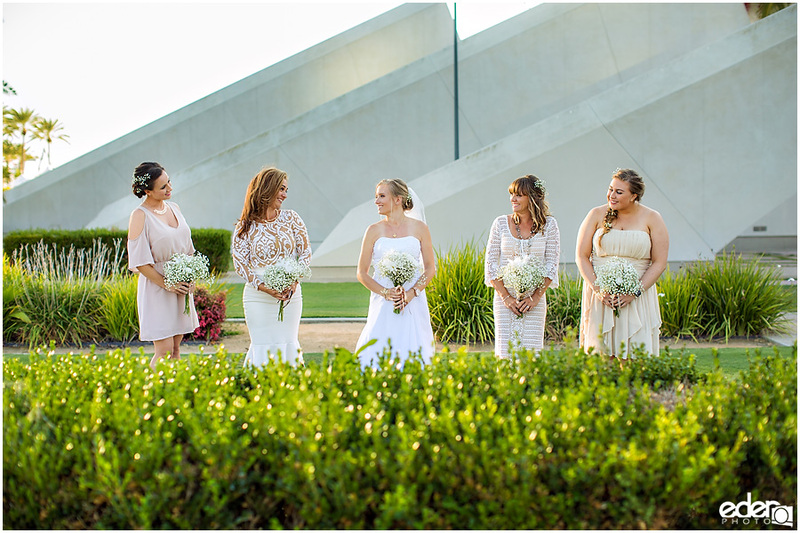 I loved how they took the theme and got creative with everything from her wedding dress to the unique ceremony location and reception decor. 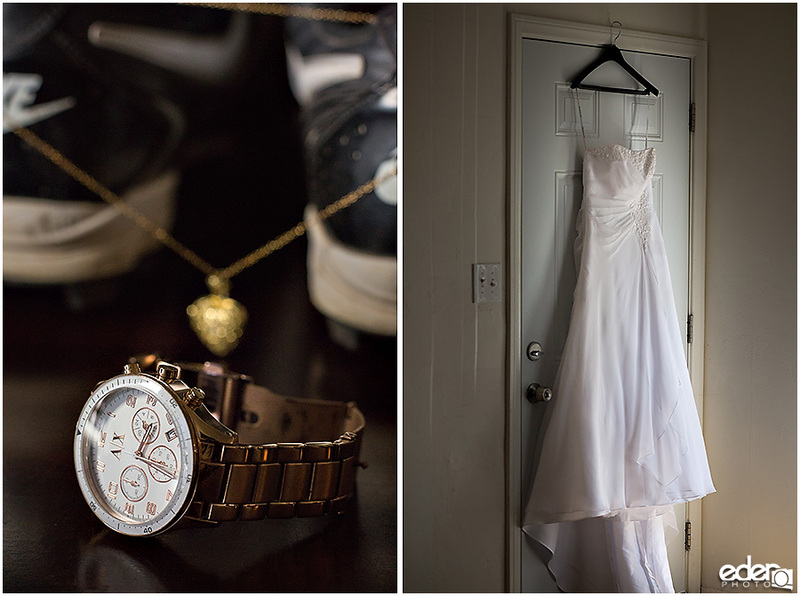 I wanted to capture as much detail as I could that included the theme. 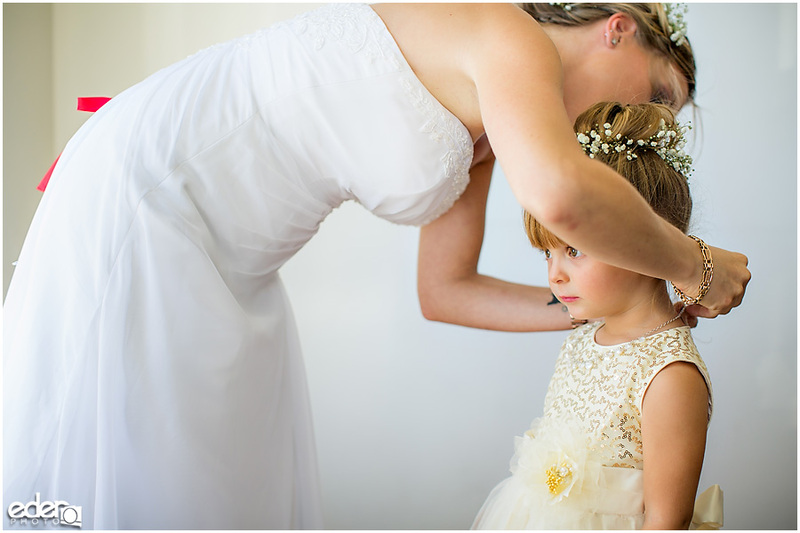 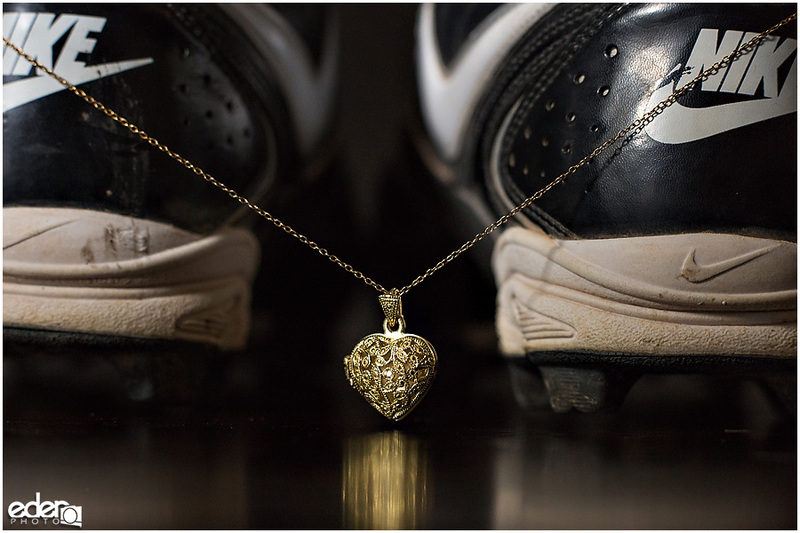 So when I photographed her necklace, I used the baseball cleats as a backdrop. 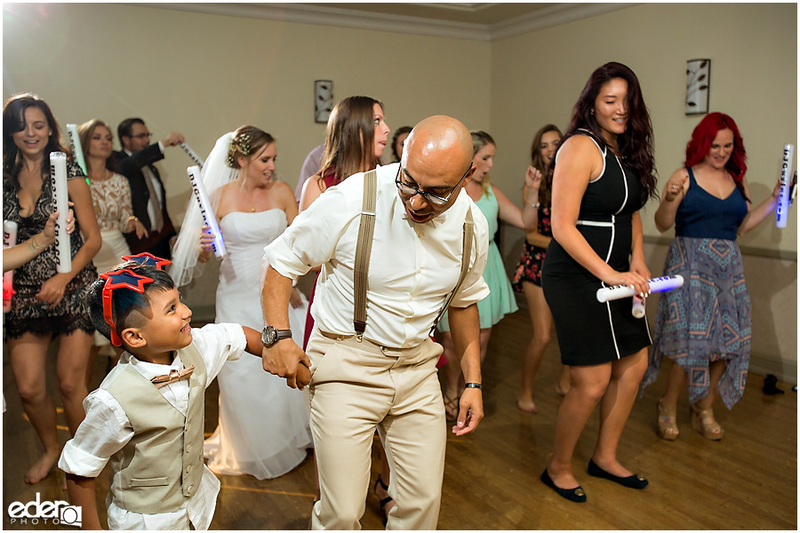 I think that was a first for me. 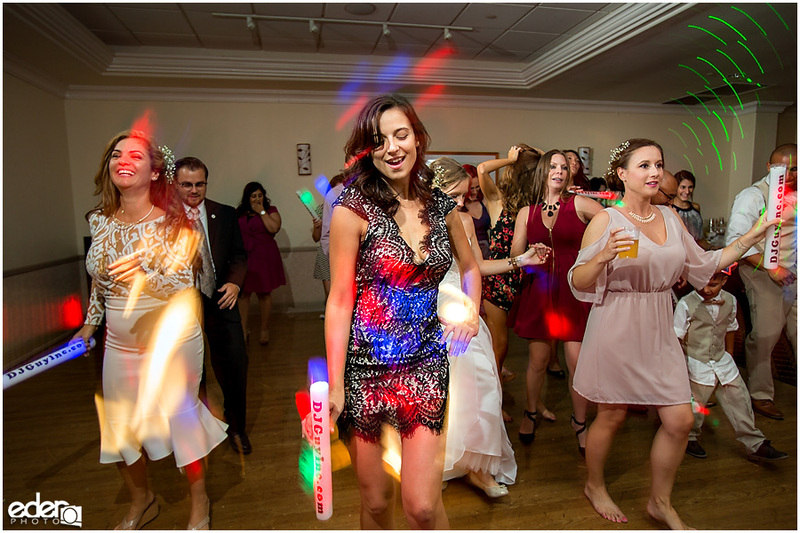 The dress was also very unique. 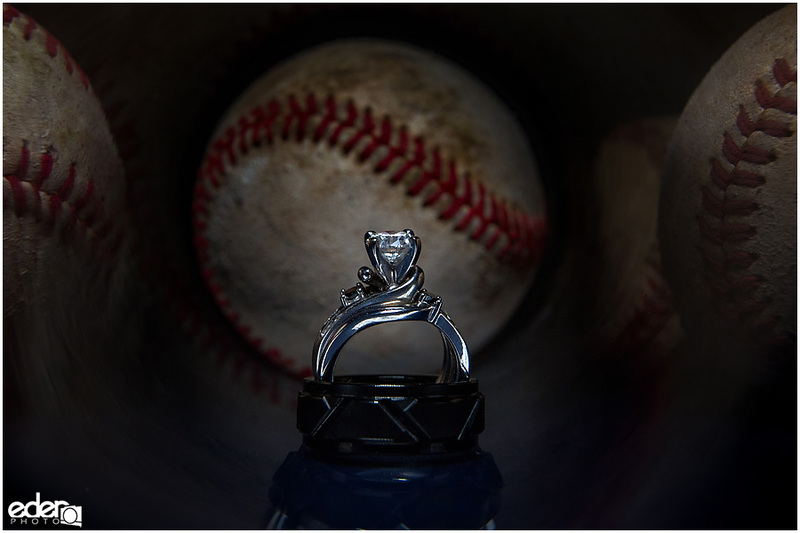 The lacing in the back was red and it made it look like the laces on a baseball. 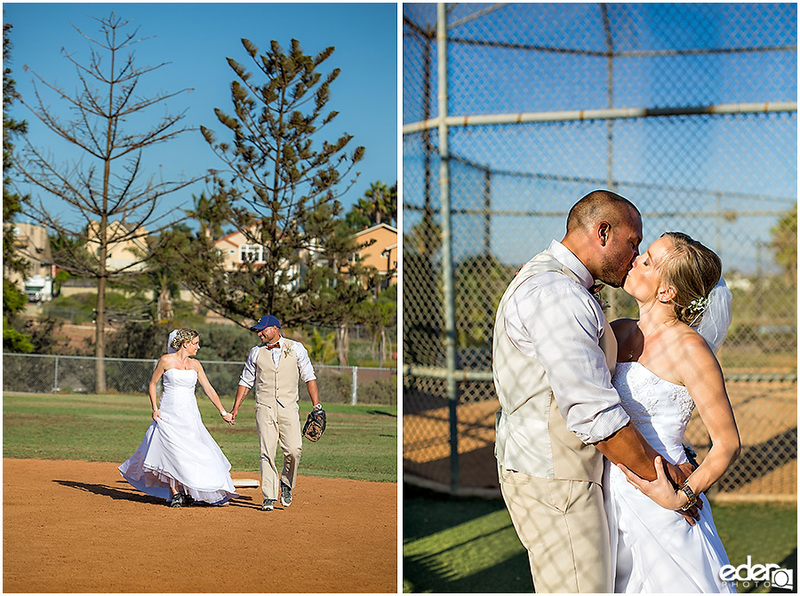 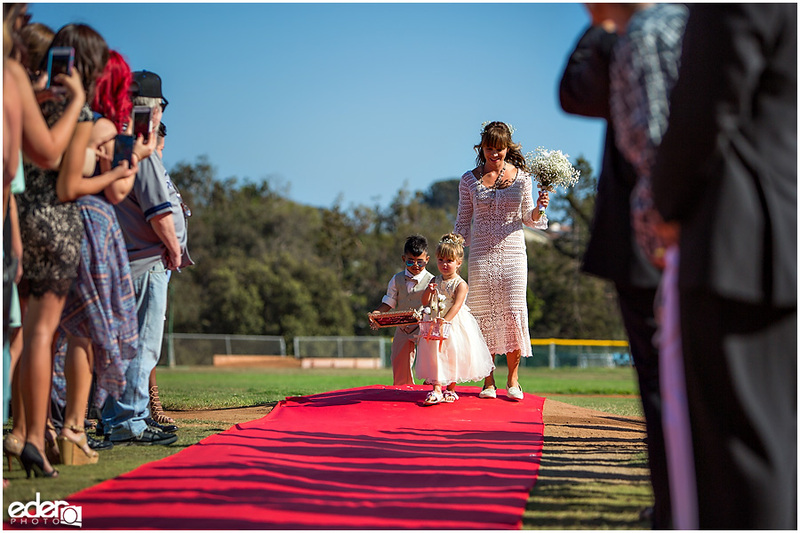 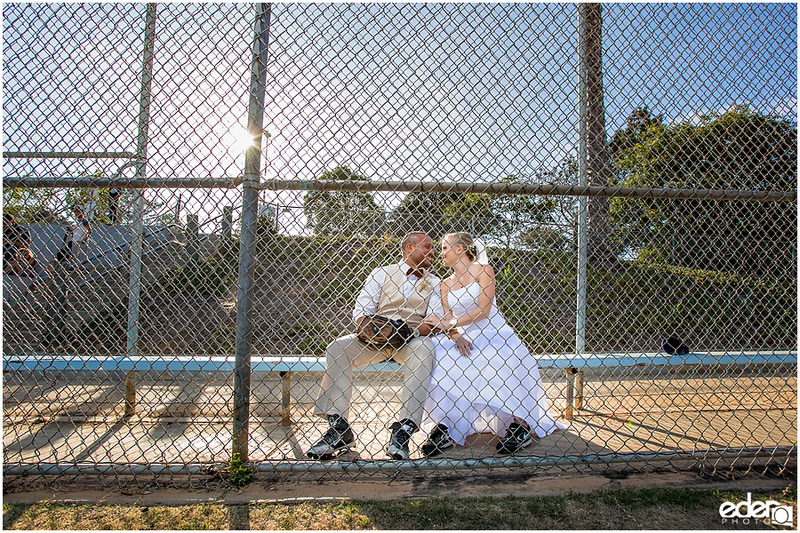 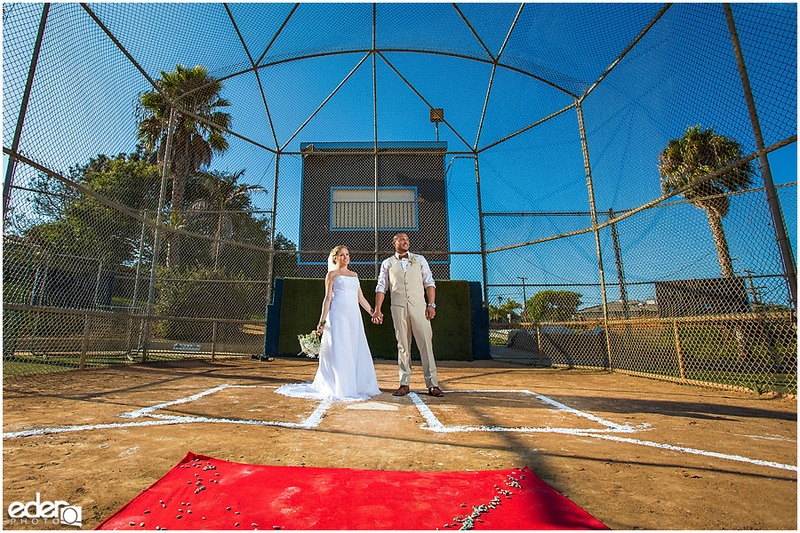 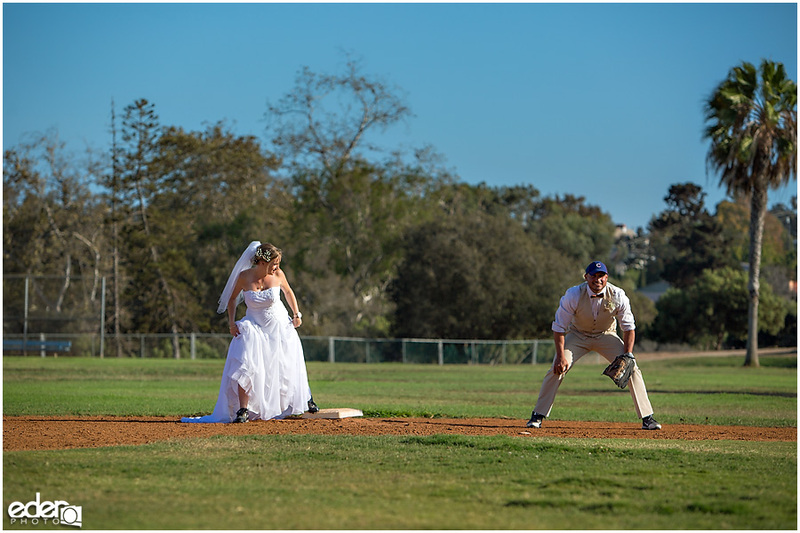 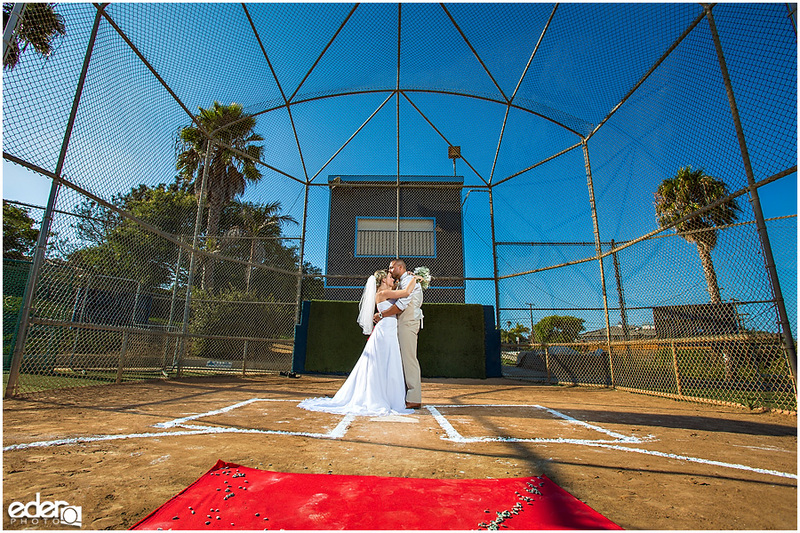 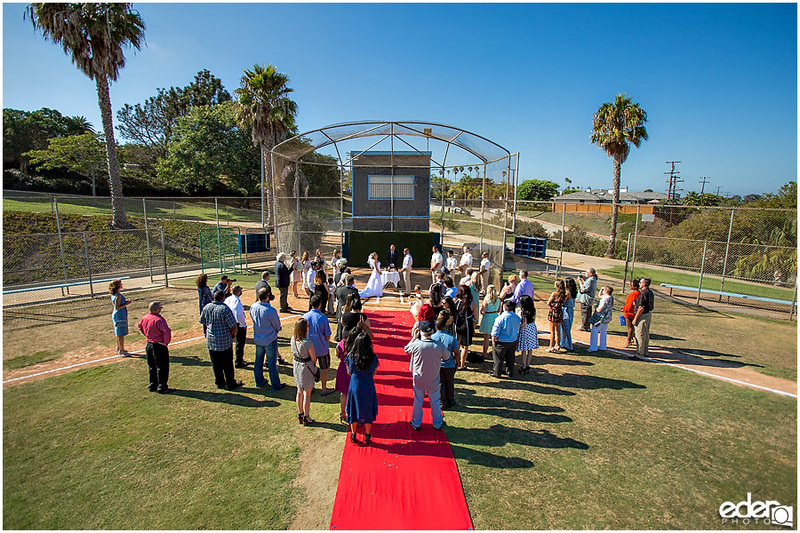 They selected the Point Loma Little League field as their ceremony location. 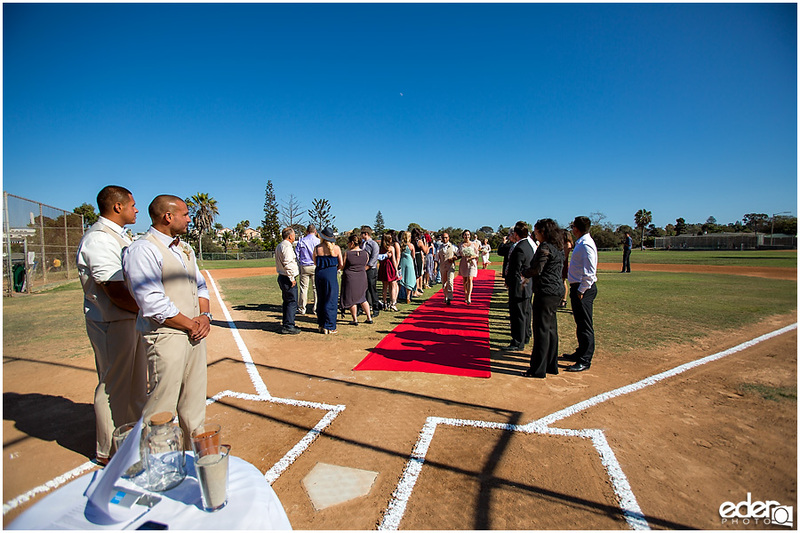 The field was prepped and decorated with a red aisle runner from the pitchers’ mound to home plate. 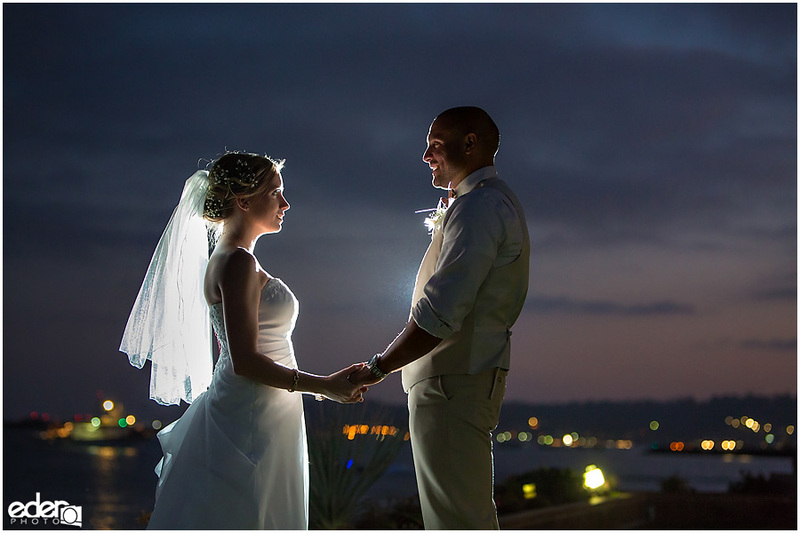 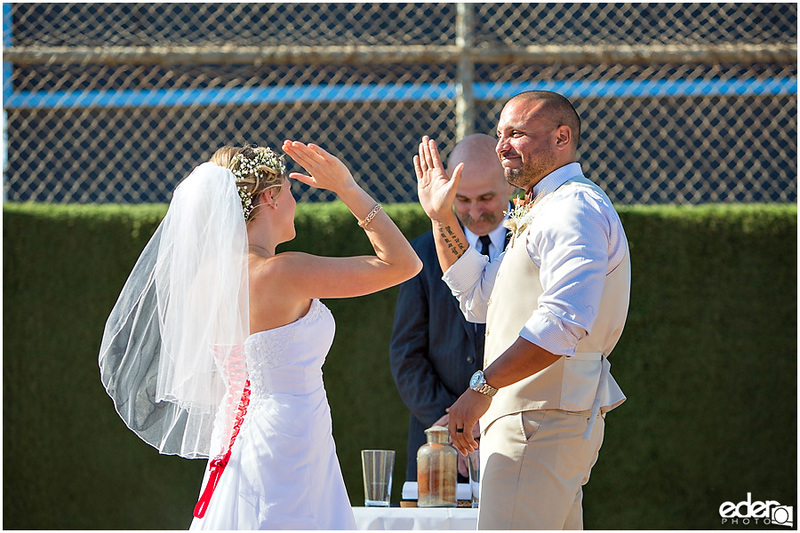 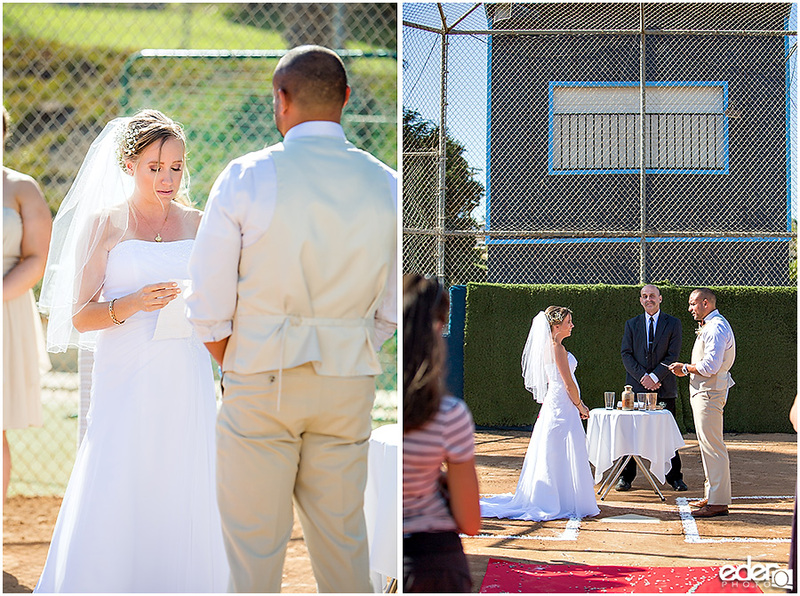 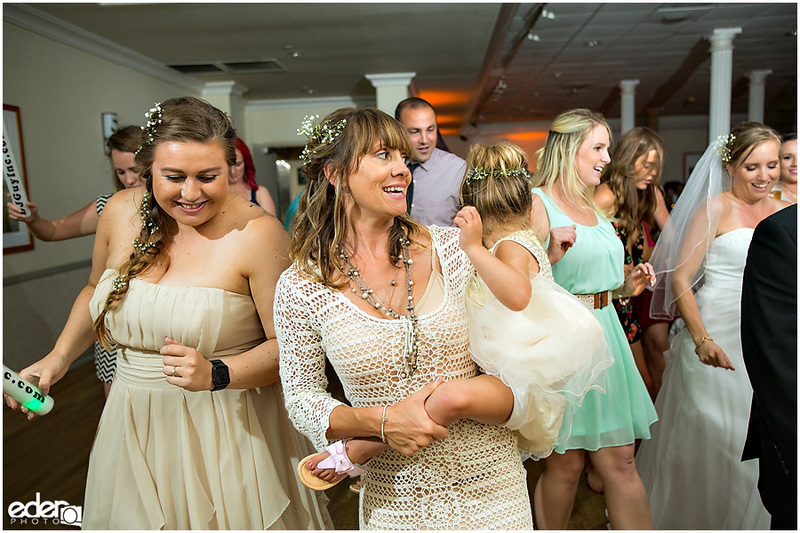 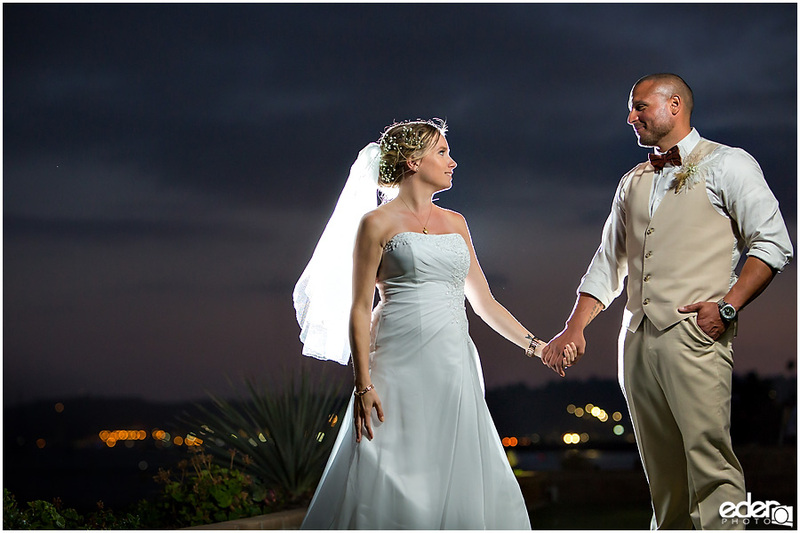 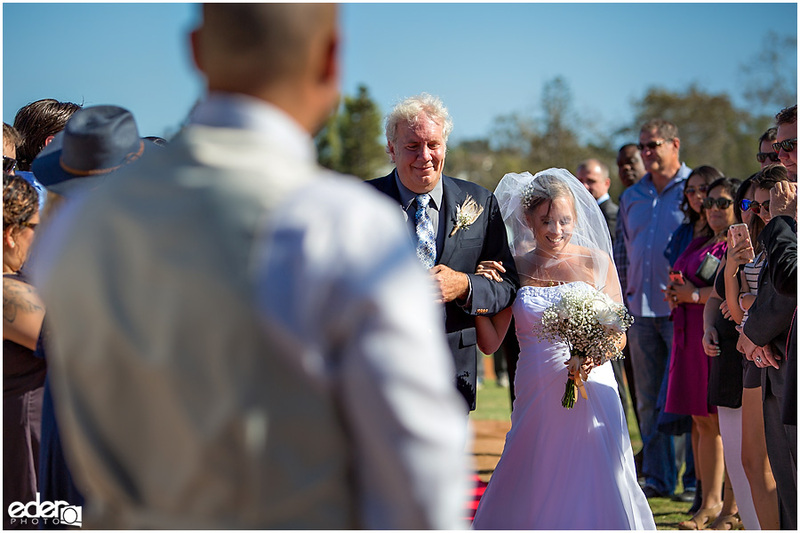 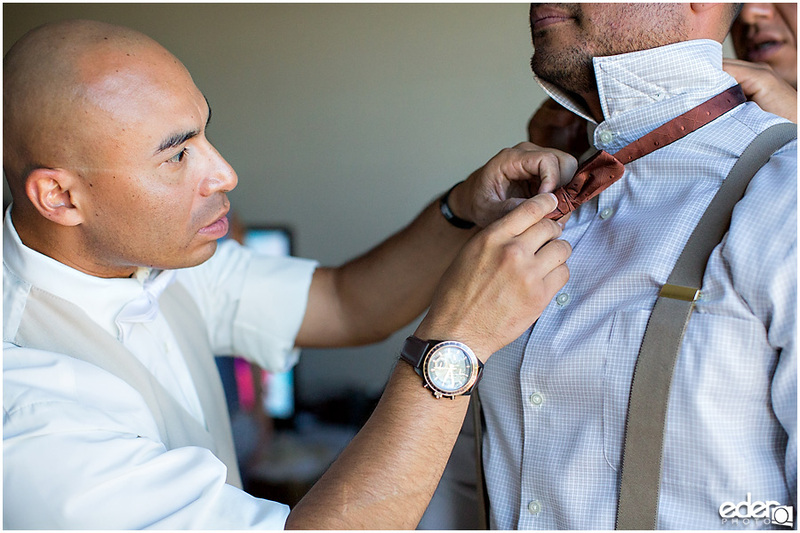 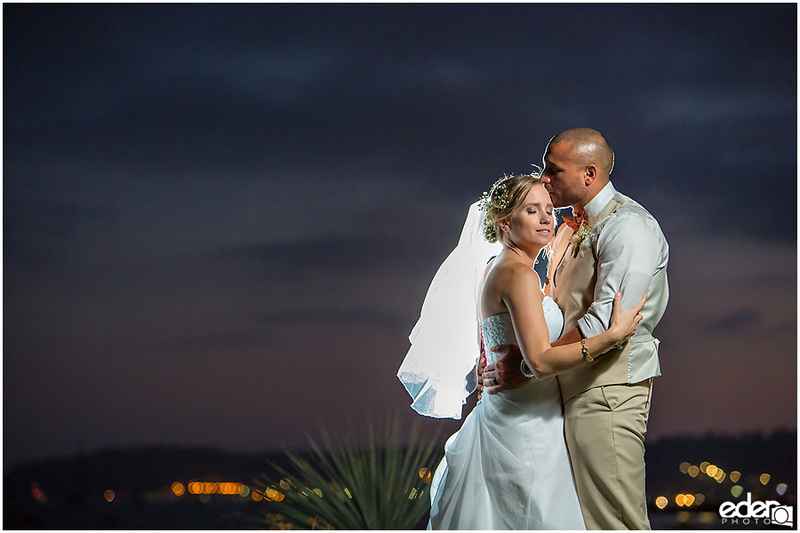 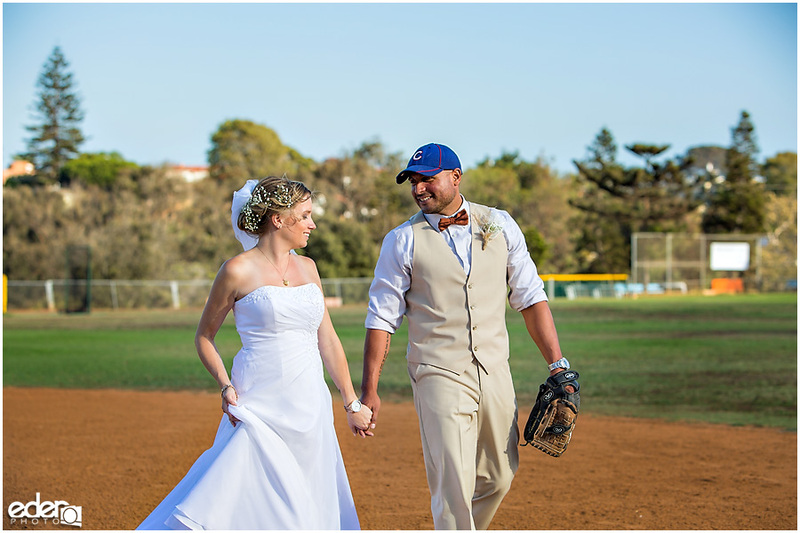 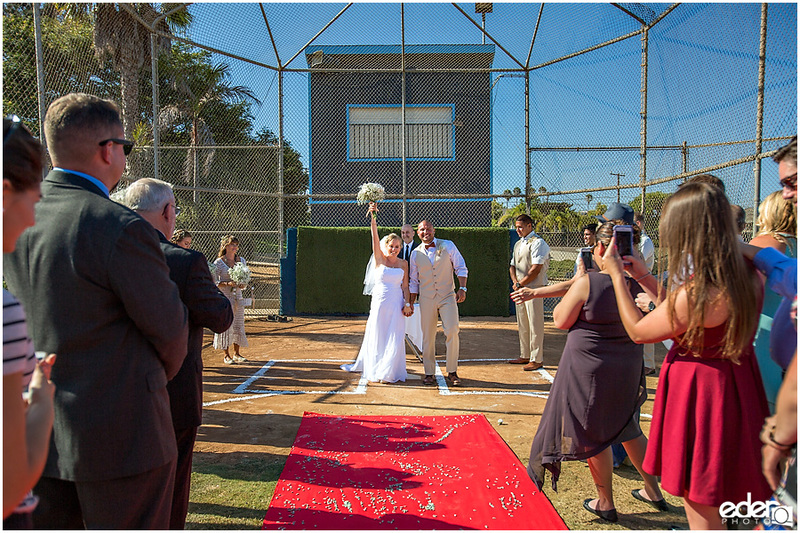 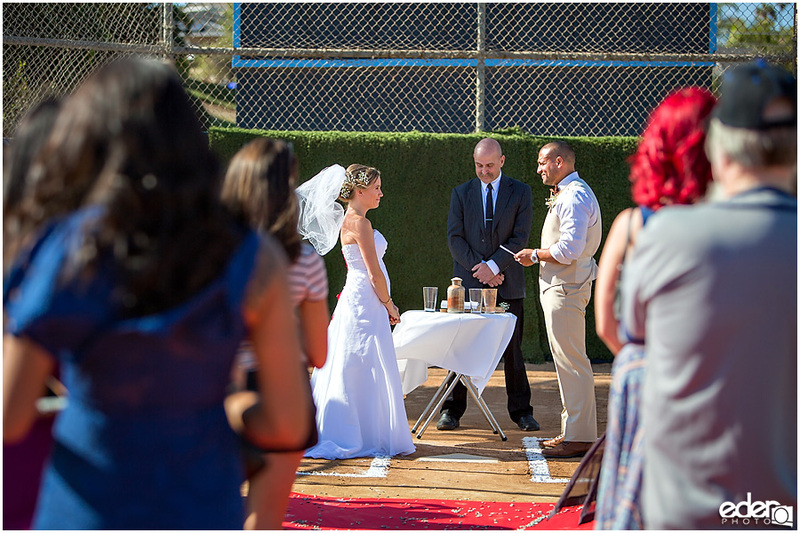 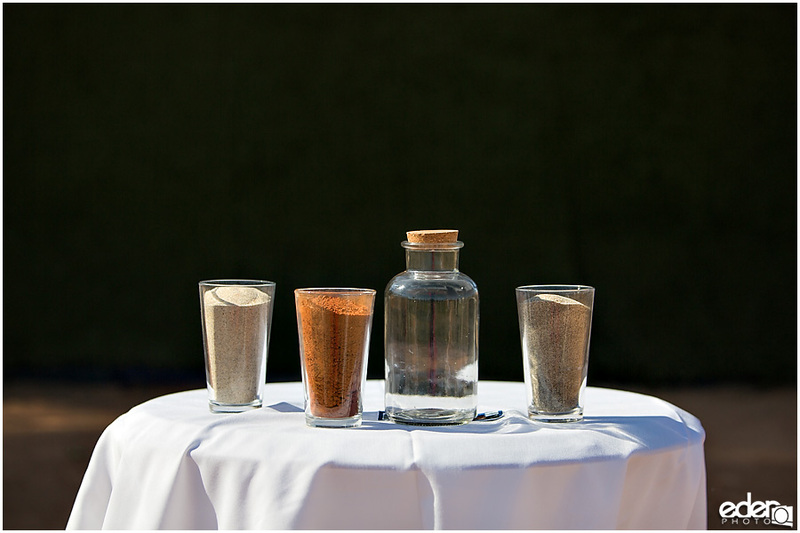 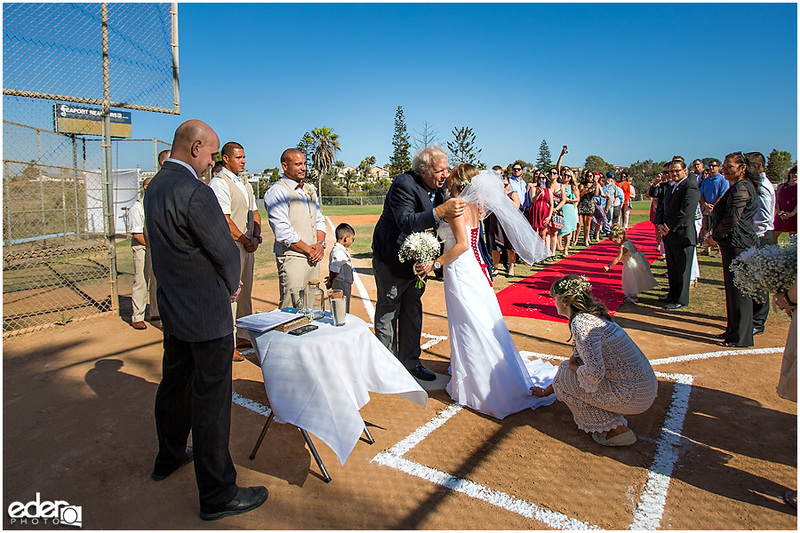 They stood at home plate in the batters’ box for the exchanging of vows and rings. 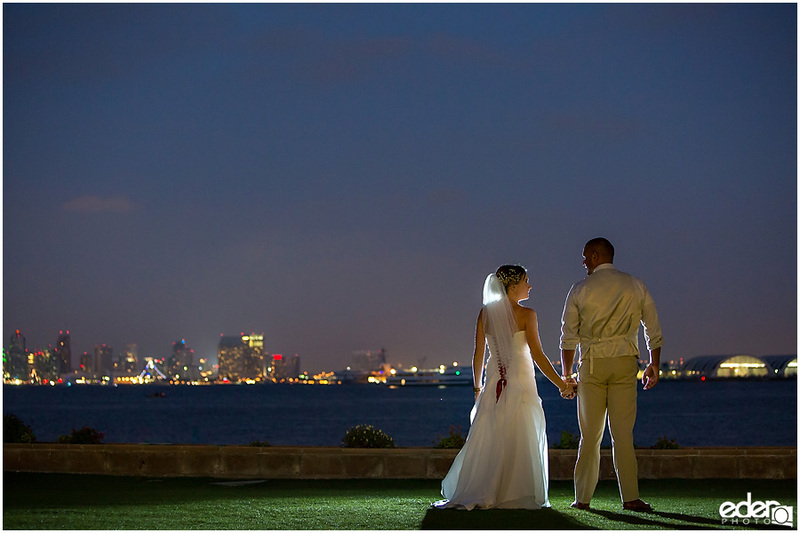 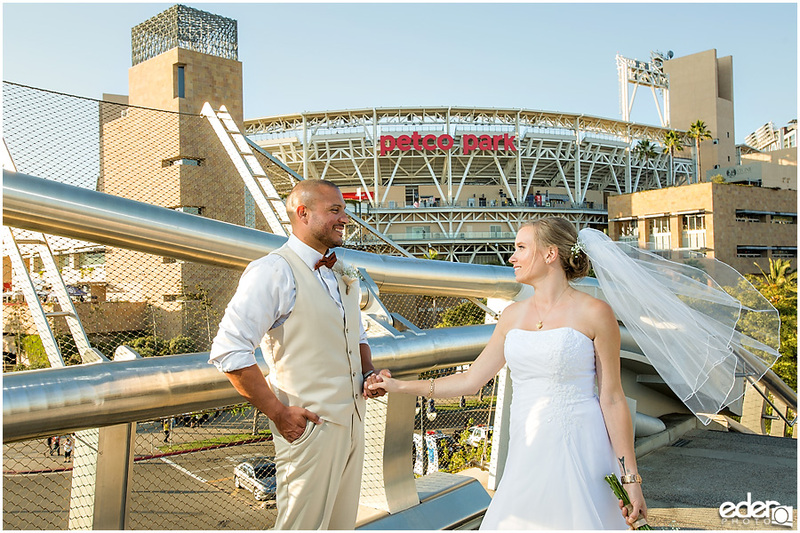 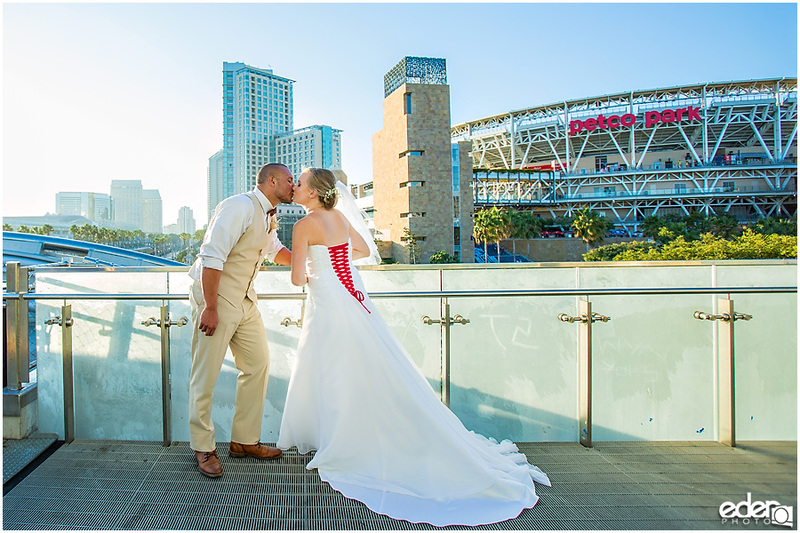 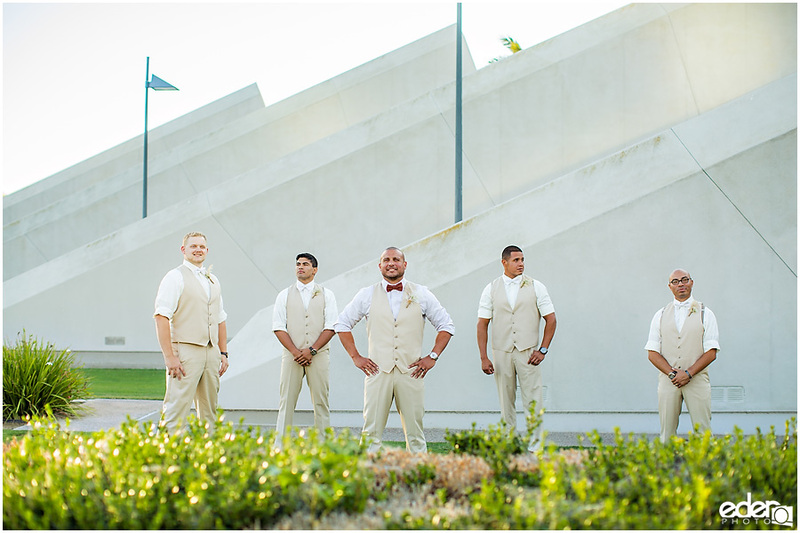 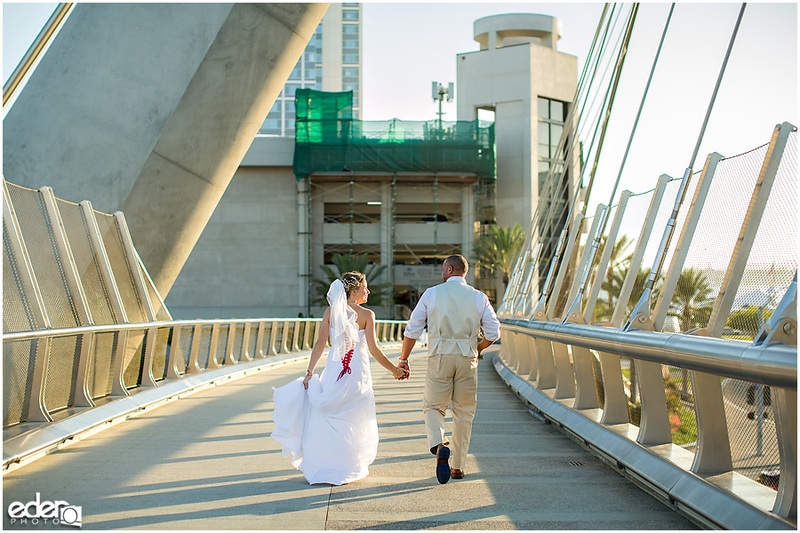 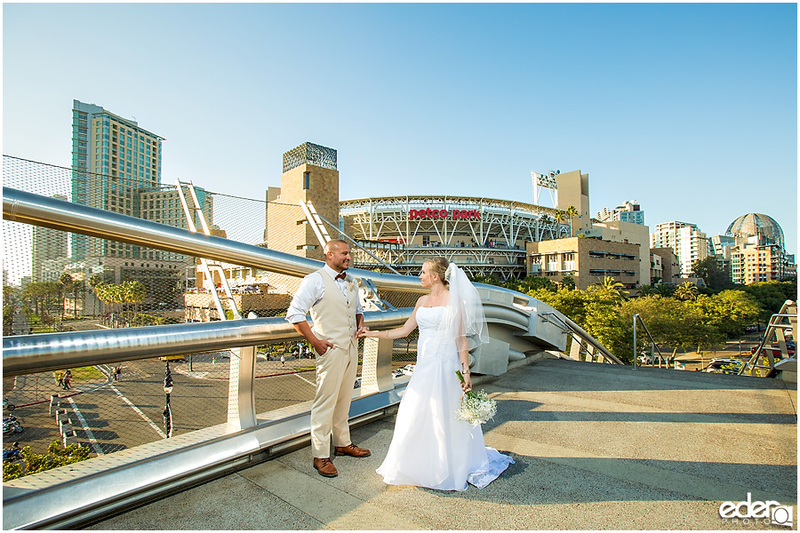 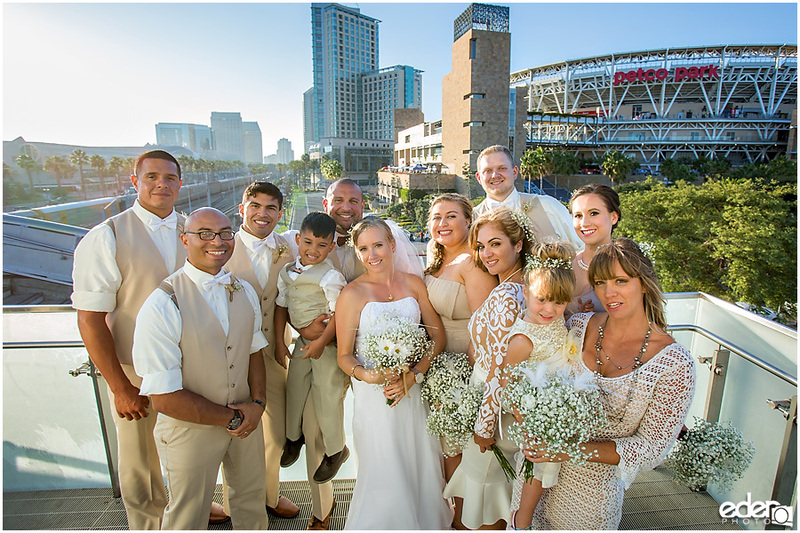 After their ceremony we took some time to do some portraits on the baseball field and even went downtown to do a few with Petco Park in the background. 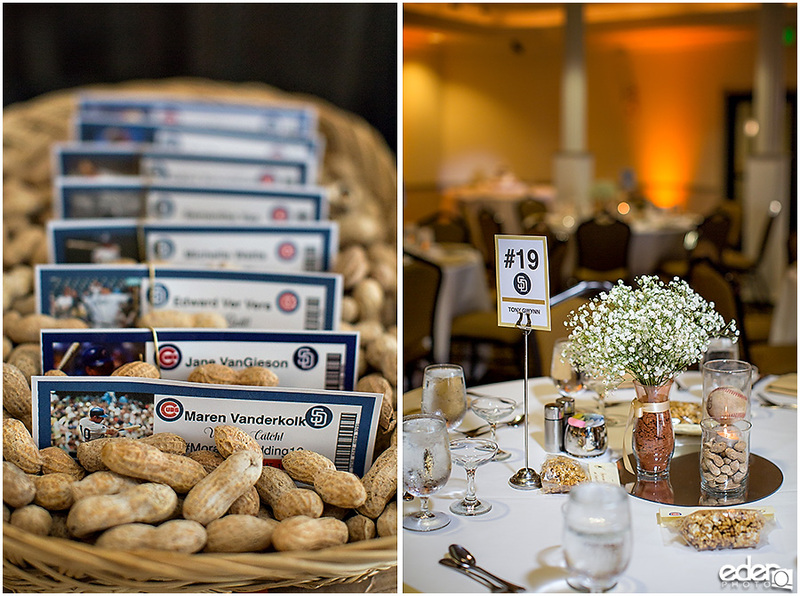 Their reception also had some cool baseball themed wedding details, like the place cards, which were baseball tickets that guests picked up from will-call. 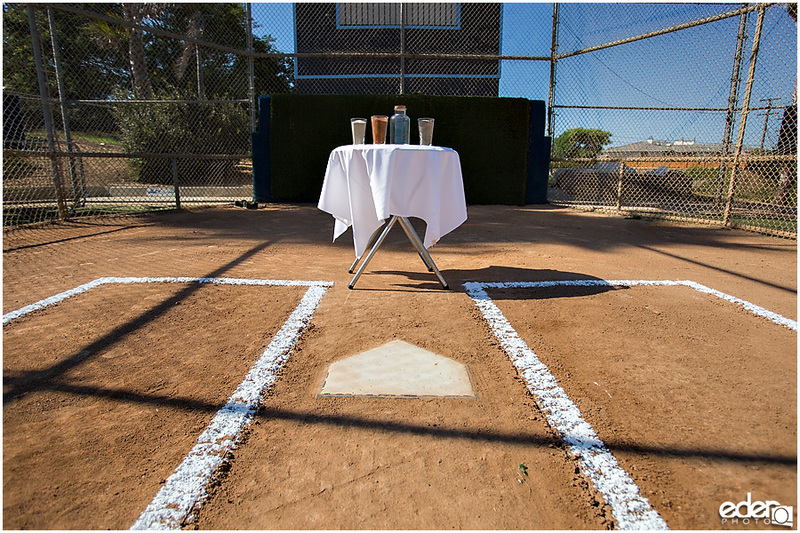 The tables were named after famous Padres and Cubs players, Laura and Amando’s favorite teams, respectively. 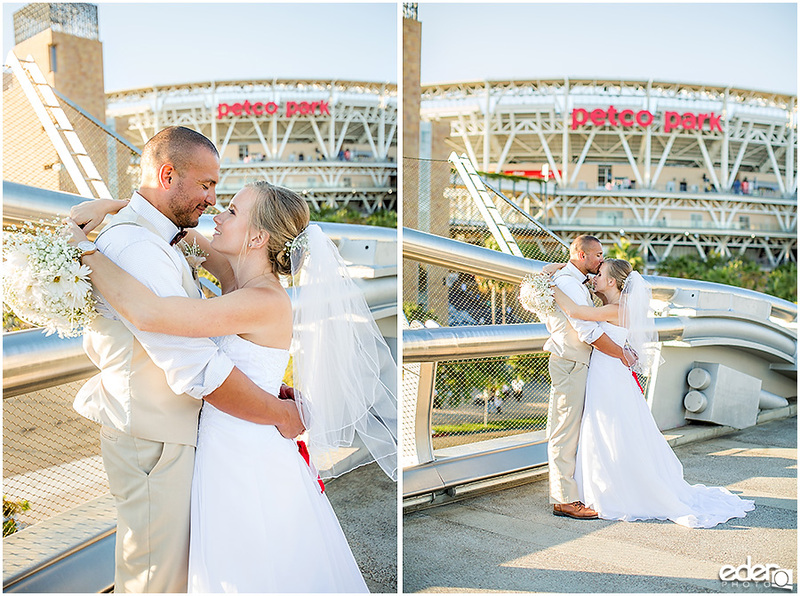 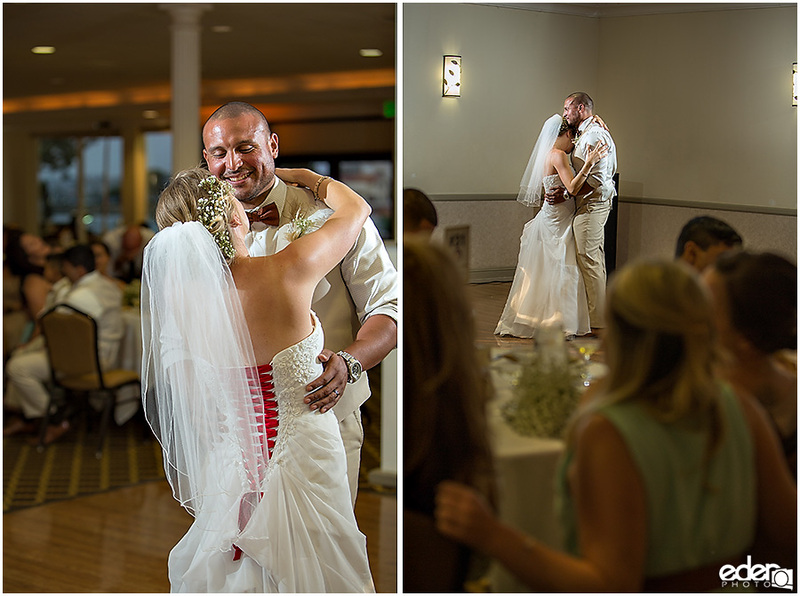 After going through all the photos, my favorite moment of the day was their post first kiss celebration. 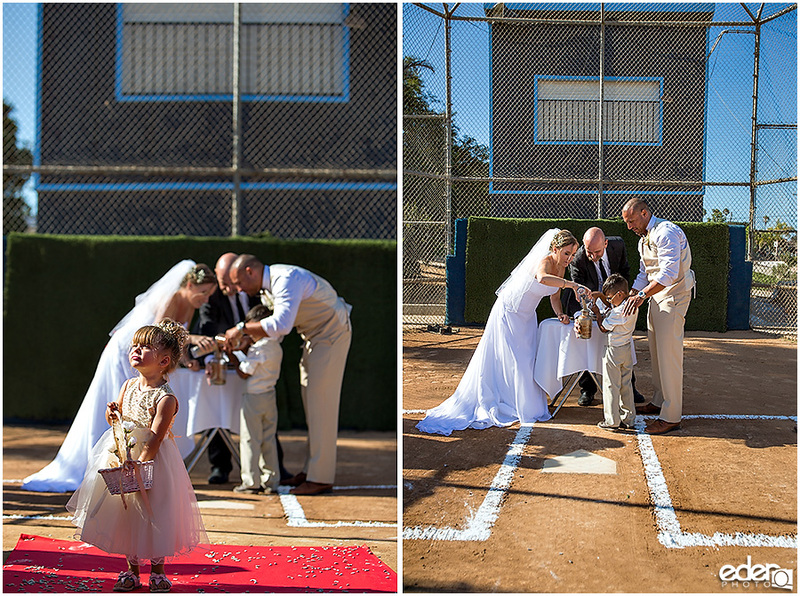 It felt like they had just hit a home run and crossed home plate. 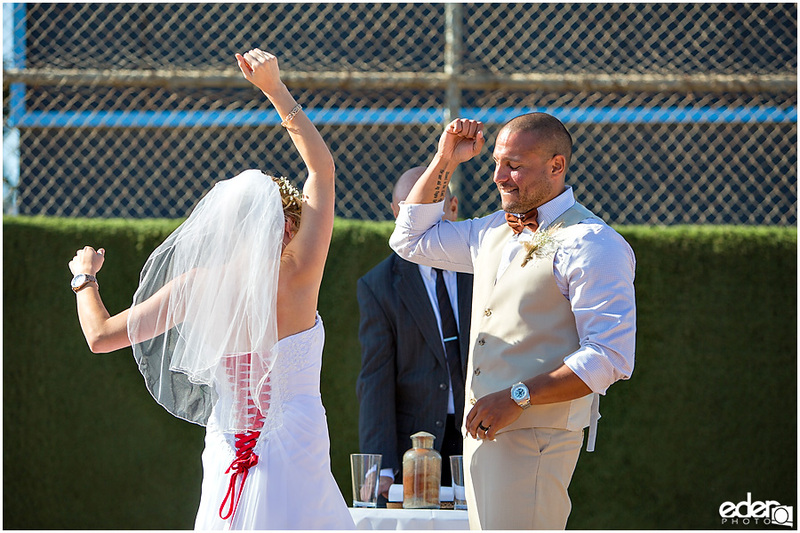 I think the celebration said everything about their relationship. 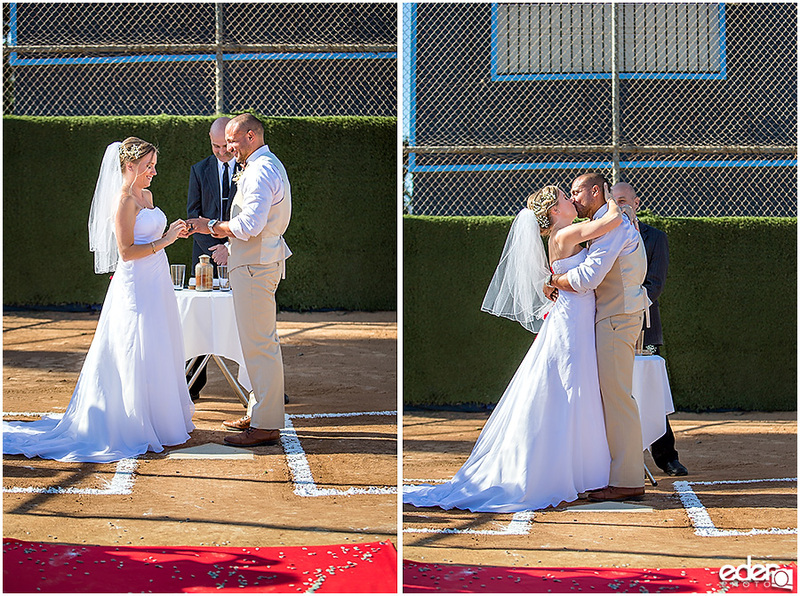 It made me feel like they are a team that is winning at life and can celebrate together.